Wiszula´s sire Ecaho is by the Race Horse of the Year Pepton (Bandos x Pemba) who also was the 1989 Polish National Champion Stallion. Ecaho´s dam Etruria (Palas x Etna) was Director Krzystalowicz´s favourite mare and she has won all that is worth winning, World Champion, European Champion, Polish National Champion and she was awarded with the first WAHO trophy ever in Poland for her amazing achievements in the showring but foremost as a broodmare. Wiszula´s dam Wiona is a daughter of the twice Polish National Reserve Champion Stallion Angor (Alegro x Angola). Angor died at young age and did not have many offspring during his three seasons at stud. He was bred by Janów Podlaski but he only served at Michalow Stud and several private Polish breeders used him. One of his best offspring is the colt Mango (out of Matura). Wiona´s dam Warszula was in foal to Angor when she was sold at the Polish Auction in 2000. Wiona´s dam Warszula (Palas x Wacpanna) was a classic beauty and the 1989 Polish National Reserve Champion Mare. Warszula is the dam of the great stallion Wadim (by Grandorr), owned by Onsala Arabians in Sweden and multi-champion stallion. 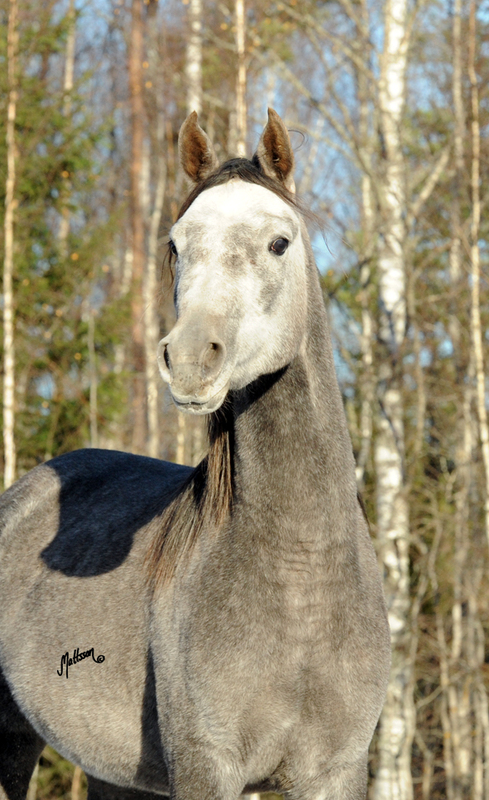 Warszula was sold to Kullatorp Arabian Stud in Sweden when she was 17 years old and they showed her to 2002 Scandinavian Open Reserve Champion Mare and 2002 Swedish National Champion Mare and Best in Show. Unfortunately Warszula died in 2004 and Wiona is her only offspring born in Sweden.